5. General of Revolutionary France. The man who cast a long shadow over the history of Europe. It was to be the ancient Greeks who produced the very first dictator that sought to dominate the entire known world through both military conquest and diplomacy, the young Alexander the Great. Tales of this ambitious man's exploits and victories of his fanatically loyal army resonated long throughout history, and centuries later even the mighty Roman Empire itself looked upon the violent Alexander The Great period with huge romanticism, producing complex art and stories in his honour. and diplomatic intrigue, thus creating the largest Empire Earth had ever known under the Eagle standard of Rome. Many centuries later under the banner of his own Eagle standard one young man who had himself looked backwards through time also sought military conquest, seeking to both emulate those Emperors who had carved their names in history and even better them. 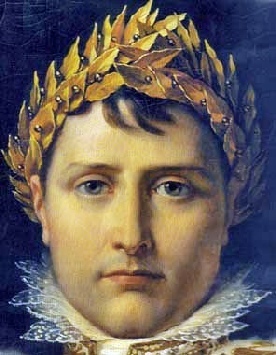 That man was a confident and able Corsican, Napoleon Bonaparte. Bonaparte would rise from noble but humble beginnings to become loved by a fanatically loyal army and navy whose deeds throughout Europe and the World would make him Emperor of France and creator of a new French Empire.